At Christmas, many European towns light up in a festival of bright lights and illuminations. Market stalls line the streets and the sound of bells fills the air, creating an unforgettable experience. 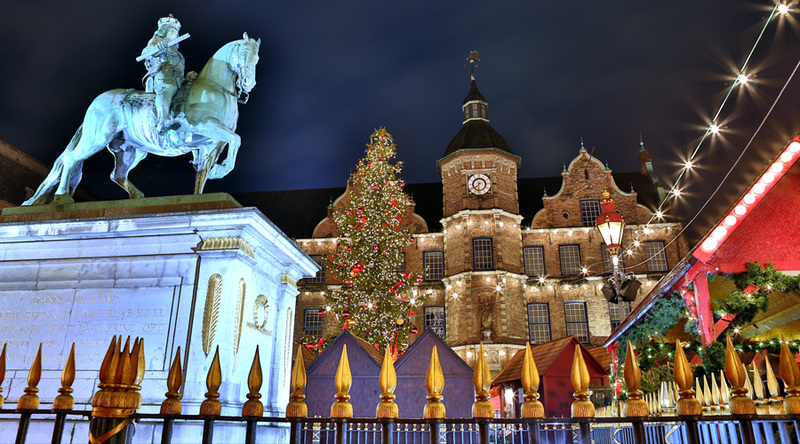 We offer school trips to some spectacular Christmas markets in France, Germany, the Czech Republic, Belgium and The Netherlands where you can really get into the festive spirit. 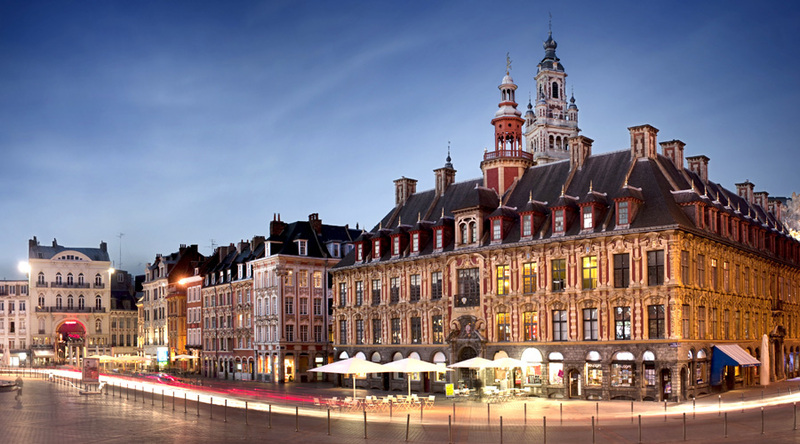 Arras, France: Set against the backdrop of the prestigious Grand Place, Arras’ Christmas market is a wonder to behold. With around 60 stalls and a host of activities you’ll be spoilt for choice. Greeted by the smell of chestnuts roasting on the stove, explore the market where you can taste oysters, champagne, chocolate and other local delicacies. With choirs, a carousel, cooking demonstrations hosted by top chefs and the chance to meet Père Noël, you’ll never want to leave. Lille, France: Lille’s charming Christmas Crafts Market is the first French market to open each year and boasts around 80 stalls selling gifts, arts and local products. Situated in the centre of the city in the Place Rihour, the streets sparkle with lavish decorations and twinkling lights. Visitors can get a fantastic view of this wonderful city whilst taking a magical ride on the majestic 50 metre high Big Wheel. Traditional toys, beautiful Christmas decorations, delicious gingerbread and more await all who visit this festive market. Aachen, Germany: The Aachen market has become famous due to its wonderful atmosphere. Attracting around 1.5 million visitors each year, in the weeks before Christmas the squares and streets around the Town Hall are transformed into a ‘Christmas City’. A vast choice of stalls sell a wide variety of products. The scent of mulled wine and potato fritters fills the air. Christmas cakes and biscuits, gingerbread and marzipan bread are all available in abundance and make great gifts. The sights, sounds and smells of Aachen market will be a memory you’ll never forget. Cologne, Germany: A city which has so much to offer, Cologne is host to 6 Christmas markets which have around 2 million visitors each year. Set around the impressive cathedral, around 170 stall holders sell their wares. Traditional items such as toys, wood carvings, marionettes, candles and lambskin shoes make wonderful souvenirs or gifts for those at home. Cologne has a vivid history and the market’s location adjoining the Altstadt (old city) creates a wonderful atmosphere and provides an opportunity to see some spectacular sights. Shop amidst the fairy lights and festive decorations then sit back, relax and enjoy the scenery whilst sampling a local favourite, baked apples - wonderful on a cold crisp winter day. Dusseldorf, Germany: Dusseldorf market looks like it belongs in a winter fairy tale. Each year five squares and one street are illuminated for the Christmas market creating a magical world for both the old and the young. Set against this enchanting backdrop are around 250 seasonally decorated huts selling a variety of arts and crafts products, twinkling Christmas decorations and culinary delights. Koblenz, Germany: A traditional Christmas market takes place each year in the picturesque Old Town area of Koblenz, close to the main shopping street. Over 100 wooden booths offer a wide range of Christmas gifts and decorations. A life-sized Nativity scene, Santa Claus, horse drawn carriages and a toboggan run are just some of the attractions which will make your stay in Koblenz memorable. 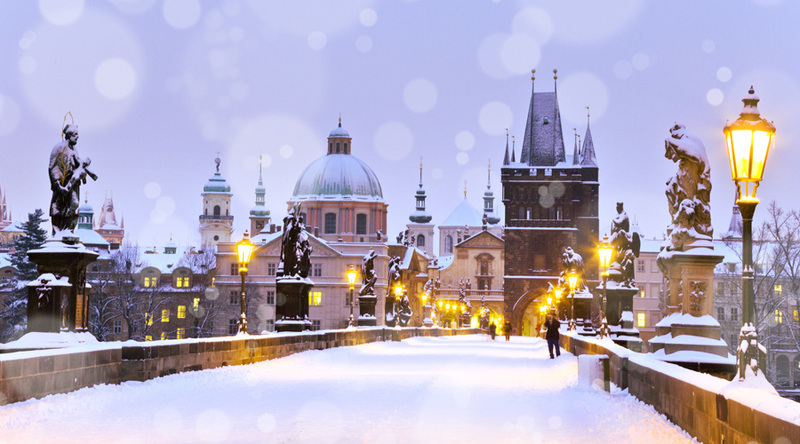 Prague, Czech Republic - Prague is a magical city, full of history and charm and its Christmas markets are a key part of the city’s Christmas festivities. The city centre lights up at this time of year attracting many to its brightly decorated wood hut stalls. A good selection of stocking fillers can be found, ranging from Czech glass, wooden toys, scented candles and hand-made jewellery to hats, scarves, and puppets. Most impressive of all, however, is the Christmas tree; draped in a blaze of lights, the tree is a spectacular sight against the backdrop of Prague’s dark gothic skyline. Prague’s markets run daily throughout December in four locations; all are within 10 minutes walking distance of each other. Ypres, Belgium - The location for Ypres’ Christmas Market is the Grote Markt, a square in the centre of town. Food and gift stalls decorated as Swiss chalets offer a remarkable variety of tempting goods. Start the festive season in style in the local shops and restaurants and take to the ice skating rink to really get into the festive spirit. Valkenburg, The Netherlands - Valkenburg’s Christmas market is held in the magical, unique location of the Fluweelengrot (Velvet Cave). Marlstone walls reflect the twinkling fairy lights and illuminations, whilst soft Christmas music plays creating the ultimate fairy-tale atmosphere. A tour of extensive passages leads you past caverns and decorated niches to stalls selling quality traditional Christmas items. At the heart of the cave sample the famous ‘Glühwein’ and other local delights. Brussels Christmas Market - The Winter Wonders Christmas market in Brussels takes place before and during the Christmas holidays, at the Grand-Place in Brussels, around the Bourse, the Place de la Monnaie, the Place Sainte-Catherine and the Marché aux Poissons. There are more than 200 chalets, fairground attractions, a covered ice rink for skating in the Place de la Monnaie and a Christmas tree and sound and light show on the Grand-Place. The market offers everything from traditional products and arts and crafts to food. 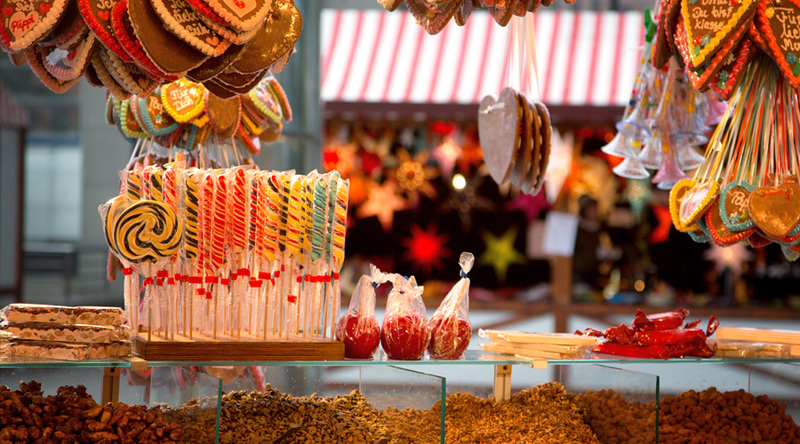 Travel to your Christmas market destination and spend the evening exploring the local area. Visit a local chocolatier to watch a demonstration and sample some festive treats. Spend the afternoon ice skating and then enjoy your evening at the Christmas market. Depart in the afternoon for a travel back to school.